Lamps in the 1800s burned oil. 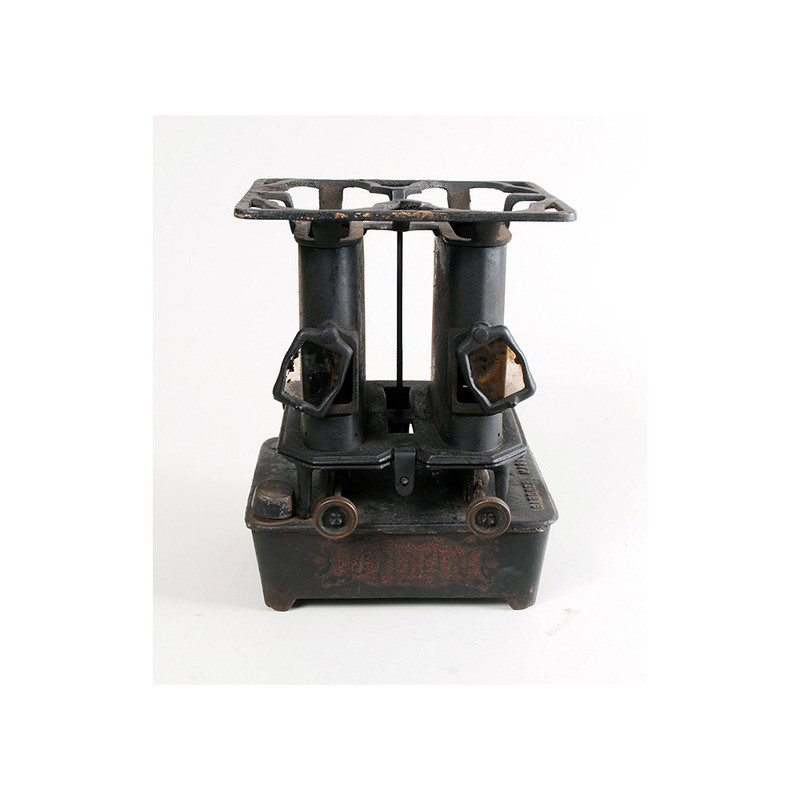 The same oil, made from petroleum or coal, fueled lamp stoves. The user turned the knobs to regulate the flame, checking the wick and flame through the mica windows. 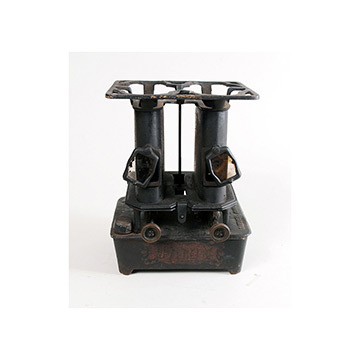 Large coal- or wood-fired kitchen stoves, as exhibited in the Fire and Heat display on Kendall's sixth floor, became so hot in the summer that a small stove like this one might be used instead. 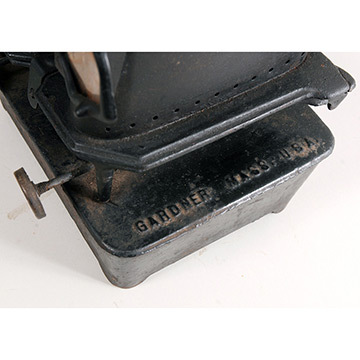 Lamp stoves also warmed water for hot-water bottles at bedtime, heated clothes-pressing or hair-curling irons, and served as hotplates in college dormitory rooms or city apartments.